1. Which spider lives the longest? The tarantula has the longest life span out of all spiders, living up to as old as 30 years in captivity. To put it in perspective, that is 15 times the life span of a brown recluse, and more than 10 times that of a black widow. As most creatures do when they grow older, tarantulas show signs of aging, and most of them will lose hair all over their body until they are completely bald. 2. Which spider is the biggest? The largest spider in the world is the giant huntsman spider which can reach 12 inches (~30 cm) in diameter including its long leg span. The largest spider species in terms of mass (and second in leg span) is the aptly named Goliath spider, which can grow up to 11 inches (~28 cm) in diameter and whose body length can reach more than 3 inches (~9cm). 3. Spiders can solve puzzles. Who said spiders aren’t smart? Jumping spiders are able to figure out simple 3D puzzles. Additionally, they can quickly adjust their hunting style to fit behavior patterns of other animals so that they can more effectively capture prey. 4. 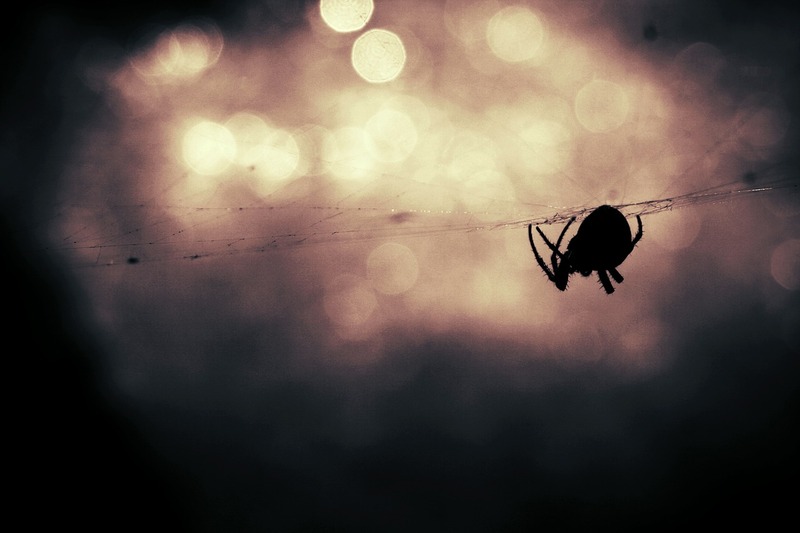 Do we really swallow spiders in our sleep? The urban legend that statistically, over the course of a lifetime a person can swallow up to four spiders or more while sleeping is based mostly on anecdotal evidence and not on scientific fact. In reality, spiders are shy creatures and they are unlikely to even approach someone sleeping, let alone enter their open mouth. These eight-legged arthropods are easily repelled by vibrations caused by moving, snoring, and breathing. Therefore, it is doubtful that an individual would ever swallow one spider while sleeping in their entire lifetime, let alone four. The chances are lesser for those who sleep with their mouths shut. 5. You’re probably surrounded by spiders. Think there are no spiders nearby? Don’t be so sure. It is likely that there is a spider within 10 feet (~3.05 m) away from a person at any time (with the exceptions being while an individual is underwater or in the air).